Wednesday from 16:45 to 18:30 Sede Geomar Il giorno di ricevimento e' orientativo. Si intende subito dopo la lezione. 1) Statistics of the wave energy in Cameroon based on the WW3 operational model. NOAA runs a series of operational models, including Wave Watch III. Wave spectra are generated every 3 h, around the coast of Cameroon. The student will introduce the operational models and the data that can be obtained. Data are stored as NetCDF files, a platform-independent format. In order to extract the data, the student will have to use Matlab, and learn how to use the NetCDF toolbox. Data will have to be analyzed and statistically characterized. Then, maps and tables will be generated. The thesis will generate a unique and updated set of wave data information, not available in Cameroon. The student will develop or consolidate knowledge of statistics and Matlab programming that will be very useful for his career. After a review of existing devices, a new wave energy converter will be discussed and designed in collaboration with the student. Local constraints, available materials, and technologies will be considered. A small version of the device should be built to prove the hydraulic concept. The student will be encouraged to build his own low-cost device to power a small battery, using mainly salvaged material. He shall give evidence of the successful results during the presentation through a video. Based on hydraulic considerations, the possibility of a full-scale system will be evaluated. A cost/benefit analysis will conclude the thesis. Luca Martinelli (LM) received his Ms. Degree in Civil Engineering in June 1995 from the University of Ferrara. In February 1999 LM defended his Ph.D. thesis "Risk analysis of caisson breakwaters subjected to breaking waves: the case of Genoa Voltri" in Hydraulic Engineering at the Technical University of Milan, tutored by Prof. A. Lamberti (Bologna University). From 1999 to 2002 he worked in the yard for a private contractor (Impresa di Costruzioni Giuseppe Maltauro S.p.A.), as supervisor of the building of a navigation lock in Pontelagoscuro (FE), between the Po river (longest in Italy) and the Boicelli canal. During this time, LM continued his scientific collaboration with the Research group of Prof. Lamberti. LM then resumed his scientific activity at the hydraulic Department of Bologna University as research fellow, from 2002 to 2010. 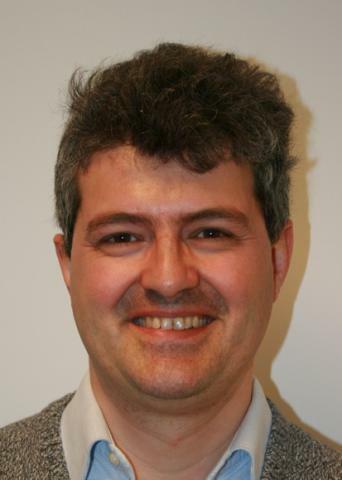 Since 2010, LM worked the University of Padova, ICEA Department, first as Assistant professor and, since 2018, as Associate Professor. LM is author of over 150 scientific publications, 29 of which being peer reviewed journal papers. His h-index is 13 (Scopus). LM main qualification is related to physical model testing (including test design, data analysis and interpretation possibly through numerical modelling). LM carried out both tests in situ, e.g. the dynamic response of the vertical breakwaters in Genoa Voltri and Brindisi, where the breakwaters were hit by tug boats to induce some oscillation of the large structures (up to 30’000 tons), and in the laboratory, e.g. at the LSF of HR Wallingford (UK), at the deepwater wave basin of Aalborg University (DK), where he was involved in the R&D of a wave energy converter named Wave Dragon, at the large wave basin of the LIC (Technical University of Bari) and at the GrossenWeller Canal FZK (Hannover), where he studied the load induced by wave impacts on jetties and the wave load applied on the pile supporting off-shore wind turbines. In Padova University, he conducted over 30 tests on the facilities there available. LM is member of the ICEA PhD Council since 2016/2017, vice-chair of the International Coastal Engineering Commettee for ISOPE (2019-2020), member of the scientific committee for EWTEC 2019 and ICCE 2022. LM participated to several EU projects, is reviewer of the most important journals in the field of Coastal engineering, and participated as speaker, invited speaker and/or moderator to several conferences worldwide since 1998, and is therefore well known in the sector of coastal engineering. He is Guest Editor of two Special Issues of the MDPI Journal Water (Impact Factor 2.069) on wave-structure interactions and on coastal flooding. LM has been an expert evaluator for the EC FP7, and is now expert Evaluator for H2020 in the panel Excellent Science/European Research Infrastructures. Castellino, M., Sammarco, P., Romano, A., Martinelli, L., Ruol, P., Franco, L., & De Girolamo, P. (2018). Large impulsive forces on recurved parapets under non-breaking waves. A numerical study. Coastal Engineering, 136, 1-15. Martinelli., L., Ruol, P., Volpato, M., Favaretto, C., Castellino, M., Sammarco, P., Romano, A., Franco, L., De Girolamo., P. 2018. Experimental investigation on non-breaking wave forces and overtopping at the recurved parapets of vertical breakwaters. Coastal Engineering, 141, 52-67. Ruol, P., L. Martinelli, C. Favaretto (2018) Vulnerability Analysis of the Venetian Littoral and Adopted Mitigation Strategy, Water, 10(8), 984, 22 pp. Favaretto C., Martinelli L., Ruol P. A Model of Coastal Flooding Using Linearized Bottom Friction and its Application to a Case Study in Caorle, Venice Italy. Journal of Transactions of the Offshore and Polar Engineers, IJOPE. Accepted. Favaretto C., Martinelli L., Ruol P. Coastal flooding hazard due to overflow using a Level II method. Application to the Venetian littoral. Water. Water 2019, 11(1), 134.